With former MobileMe customers losing their additional 20GB of free storage a couple of days ago, there are probably a bunch of new people eyeing the paid iCloud upgrade options and wondering whether or not to hand over their cash. So we thought it would be a useful to take a look at the other major cloud storage services out there, to see how they compare. As none of them are trying to hide the filesystem in the way Apple does, they all essentially work in the same way: providing you with a virtual online drive that you treat just like a local folder. There are also OS X and iOS apps for each. Let’s start with the obvious: if you want something that is totally integrated into both OS X and iOS, and which Just Works, then iCloud is king. Although the 5GB you get free doesn’t sound like a lot, you actually get more than this in practice – because Apple doesn’t count the space used by any of your iTunes purchases (apps, music, movies/TV shows or books), nor does it count the 1000 most recent photos you get to store in Photostream. If most of the content you want to store came from Apple, and all you want to do additionally is sync your contacts, calendar, notes and so on, the free storage is probably all you need. iCloud is also a seamless way to store documents if you use Apple’s own iWork software: Pages, Numbers and Keynote. By opting to save documents on iCloud, they are automatically available to you from your Mac(s), iPad and iPhone – as well as on the web. We worked with Apple to create a solution that benefited our mutual customers. The SkyDrive app for iOS is slightly different than other SkyDrive apps in that people interested in buying additional storage will do so via the web versus in the app. Back in December we heard reports, later confirmed by Microsoft, that Apple was delaying updates to its SkyDrive iOS app. The delays were apparently over a dispute regarding whether or not Apple should receive its usual 30% cut for additional storage that users purchased through the app. While there is no word yet on exactly how Microsoft and Apple resolved the issue, Microsoft announced today on its Windows SkyDrive blog that a new update is available for the iOS app via iTunes starting today. The difficulty began when Microsoft rolled out the ability for SkyDrive users to purchase more storage space on the service. From that point, the company was not permitted to update its application in the iOS App Store. The reason? It doesn’t pay Apple a 30% cut of subscription revenue generated by the application through the paid, additional storage. Microsoft, TNW has learned, has a new version of the application ready to go, including a key bug fix that would rectify a crashing bug, but cannot get it through. 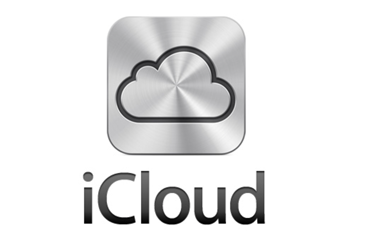 With iCloud, you can only access certain files across devices—like iWork files or photos you take on your iPhone. With SkyDrive, you can access or manage any file from anywhere. It doesn’t matter whether the file is a document, photo, video, PDF, or anything else—just drag files to theSkyDrive folder on your Mac and they’ll automatically be available on youriPhone, iPad, or PC. If you don’t have your devices with you, you can still access, view, or edit any file by signing in to SkyDrive.com on any browser. With iCloud, you can only collaborate with people who have the right software. But with SkyDrive, you can share any type of file—even big ones up to 2 GB—with anyone. SkyDrive works seamlessly with Office. Anyone you share with can view or edit Word,PowerPoint, or Excel files using Officefor Mac, Office for Windows, or withOffice Web Apps in their browser (it’s free!). With iCloud, you can access notes across your devices but can’t share them. SkyDrive and OneNote, both free, are integrated so you can take notes, track to-dos and lists all in one place, and share your lists with friends and family so they can coordinate shopping or other tasks you’re working on together. You can share and keep your lists automatically updated from any device. Microsoft also linked to a page with instructions for moving from iDisk to SkyDrive. Following the launch of Microsoft’s SkyDrive iPhone app, the company gave a preview of its refreshed SkyDrive service for Windows 8 and OS X. Today Microsoft has launched a new app for both Windows and Mac that brings Dropbox-like file management to the service. Of course SkyDrive is seen by many as a direct competitor to iCloud and other alternative cloud services. The tool essentially allows you to manage content stored in your SkyDrive by accessing files from your desktop, dragging and dropping them to the cloud, and organizing files in familiar folders. The release comes following rumors that Google is prepping a Google Drive Mac app for its upcoming cloud service. SkyDrive for Mac is the easiest way to access your SkyDrive from your Mac. When you install SkyDrive, a SkyDrive folder is created on your computer. Everything you put in this folder is automatically kept in sync between your computers (Mac or PC) and SkyDrive.com, so you can get to your latest files from virtually anywhere… Almost 70% of Mac users also regularly use a Windows PC. Since we want every customer to be able to rely on SkyDrive to access files anywhere, it’s important for SkyDrive be wherever they are. Whoa, Microsoft is definitely on a roll today. In addition to the Xbox Live client for iPhone and the Halo Waypoint companion app for their popular gaming franchise, both of which were recently released on Apple’s iOS platform – and on top of today’s release of Kinectimals, their first-ever game for the iPhone, iPod touch and iPad, the Redmond, Washington-headquartered software giant just outed another iPhone app. If you’re a fan of 25 gigabytes of free storage from Microsoft (a 100MB individual file limit) , Christmas definitely came early with today’s release of the official SkyDrive for iPhone . A free download from the App Store, it lets you access all of your content (including files shared with you) stored on SkyDrive cloud storage. You can also upload photos or videos from your iPhone to SkyDrive, view your recently used documents, share a link to any file using email and create/delete folders. So Microsoft, how about that Office for iOS?